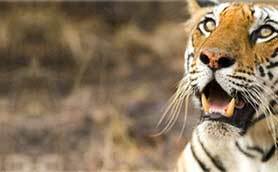 India Jungle Tours has a customized tour package covering major hill resorts, tourist and wildlife destinations in southern part of the country. South India Hill Station Tour will start from Delhi and sightseeing at this capital city is a sort of bonus for you. 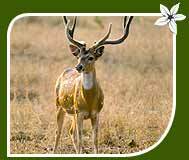 Sightseeing at Bangalore, Nagarhole National Park, Bandipur National Park, Eravikulam National Park, Periyar Wildlife Sanctury and Kumarkonam Bird Sanctuary are some highlights of this tour package. 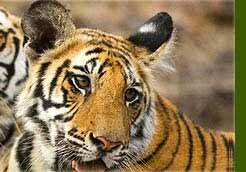 The tour package would be very suitable for not only wildlife enthusiasts but also for other vacationers. We have chosen all the tourist destinations after shortlisting them from a long list of destinations. After breakfast sightseeing tour of New Delhi visiting India Gate, Qutab Minar & Humayun's tomb and driving past President House. Overnight at the hotel. Early morning connect flight for Bangalore. After breakfast half day sightseeing tour to Bangalore visit Bangalore's botanical gardens before touring the ancient Bull Temple and Tipu Sultan's Palace. Afternoon drive to Mysore (125-kms / 3 hrs.). On arrival at Mysore transfer to hotel. Later in the evening visit Brindaban gardens. Overnight at the hotel. After breakfast drive to B R Hills. 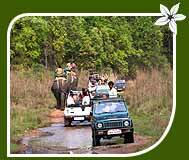 Afternoon trekking in B R Hills for wildlife viewing. Overnight stay in tents. After breakfast drive to Palakkad (approx 140 Kms. 3 ½ hrs. drive). On arrival transfer to hotel. Later visit Palakkad Fort - The old granite fort situated in the very heart of Palakkad town was built by Hyder Ali of Mysore in 1766. Overnight at hotel. After breakfast drive towards Munnar (approx 226 Kms. 4 ½ hrs. drive). On arrival transfer to hotel. Drive to Eravikulam National Park to see the Nilgiri Thar. Overnight stay at hotel. After breakfast visit to the park for wildlife and bird watching. Drive to Periyar in the afternoon (3 hrs. drive). Overnight stay in the resort. After breakfast drive to Kumarakom (135 Kms. / 3 Hrs). Arrive at Kumarakom in the afternoon and spend the rest of the day at leisure. Overnight stay at hotel. 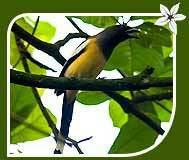 Enjoy the morning backwater cruise and in the evening visit to the Kumarakom Bird Sanctuary. Overnight at hotel. After breakfast drive to Kochi (3 hrs.). Spend a full day sightseeing tour of Kochi. Visit the Dutch Palace, Jewish Synagogue , Chinese fishing nets, & St. Francis Church . Later in the evening transfer to the airport for onward journey.